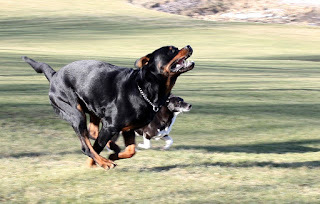 How fast can a Rottweiler run ? 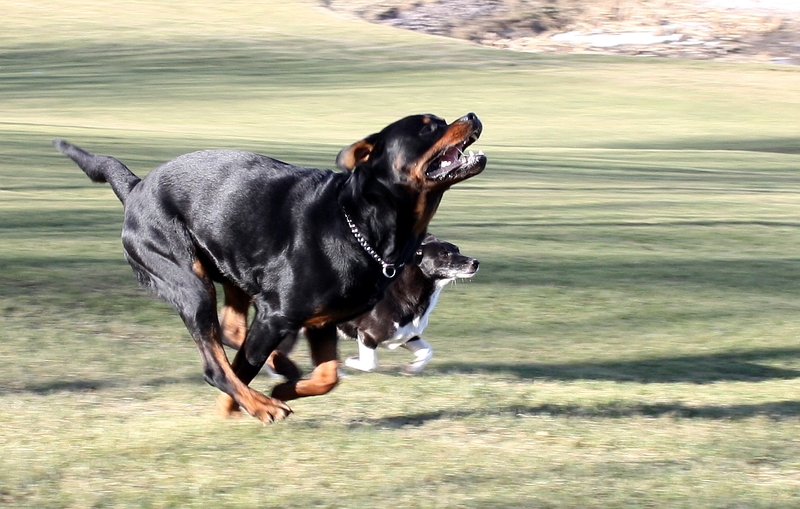 Rottweilers loves running long distances, they don't know their own size...or their speed. Enjoy this amazing video of two Rottweilers running outside. A Rottweiler can run up to 25 mph or more. Diesel will be 11 years old in October, and just look at the speed, power, grace and reach in his movement! He is just such a magnificent dog! What kind of food are you feeding him , he so cute and he had my dog name Diesel hes 3 Y.O today 11-13-2013. My Edsel never stops, at 9 months of age I cant get extra weight on him he's so active! I had my Rot 12and a half years. Weighed 155 lbs and was healthy all those years. Fed him Nutri max. Adult formula for large breeds. One scoop a day at 6pm. After he was 10. I stated giving him a half a can of assorted high in dog food to mix with the dry.